Rocco, Benito, Nico and Sandro are brothers. 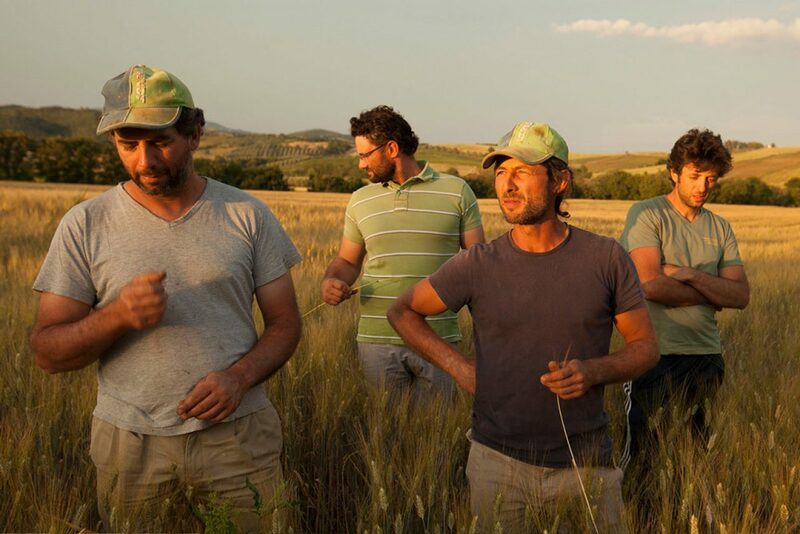 Franco's sons, born and raised in Irpinia, in Flumeri, the place known for San Rocco lily, now owners of a commercial farm in Gavorrano in the heart of Maremma. Their tie to the place where they were born is indissoluble that is nurtured by their hard work in the fields, their love of wheat they brought from Irpinia to this place so far away and different and which returns to Irpinia, to their home town, Flumeri, where the De Matteis pasta factory is situated. 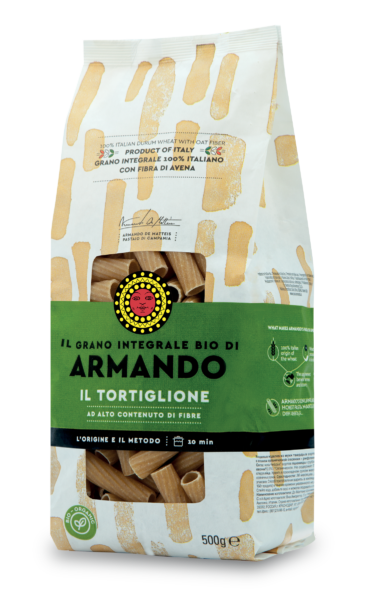 It is a transhumance of durum wheat: from Irpinia to Maremma and from Maremma to Irpinia. We've been working together all our lives, to us there's always strength in numbers. Exchanging ideas with each other causes us to make more reasonable decisions. Even if we make mistakes, the 4 of us can solve any problem. When you're alone you're nobody; the four of us are a force. It's something that must be understood first and then put into practice. When there's cooperation you grow. Our mother and father taught us to work together and respect each other. It isn't easy to get the 4 of us to agree, but when there's passion and you believe in what you're doing, you can always come to an agreement. We saw our farm for the first time on 28th August in '98 and by November we had signed the deed of purchase. We get our passion from our father who was fond of Tuscany. The early years were really tough: we were going to university, we had to find our feet in this new place overcoming the initial suspicion of the locals. After 16 years we feel we're one of them. Then our father keeps an eye on us. He gives us advice. He encourages us. Thanks to him we've become entrepreneurs of a good business we're proud of. We try to keep learning, we're trying to get better. Our father taught us to be cautious and never bite off more than we can chew. Our business is thriving, respected and we're considered reliable. One of the things our father taught us was that our word is the most important thing. Nowadays it's hard to find people who keep their word and not renege on commitments. I'm 76 years old. When I decided to move here I felt the need to go farther, I could feel that soon many things would change. In '76 I bought a combine harvester. I left Flumeri to go to Apulia and so I've recovered the money I spent on the machine. The value I've passed on to my sons is to roll up their sleeves and make an effort to stick to their decisions and see them through, without being discouraged by obstacles. Relationships between us must be transparent, honest and open to discussion. They've always gotten along, I've never had to step in to moderate their arguments. I mostly interfere in their business to restrain investments, as equipment is very expensive and I tell them to be cautious. Technology and innovation are necessary to modern farming, I can't deny that. At times I long for the simplicity of the machines of bygone days: if anything broke down, all we needed was a mechanic. Nowadays machines are so complicated, you need an engineer to fix them. It's important to us to deliver the wheat we produce to the pasta factory. It's a way of giving back: Irpinia is suffering from a long recession since a number of manufacturing businesses closed, causing many of the inhabitants to lose their job. t's important to me to know that a pasta factory can ensure that people keep their jobs. As long as I had no trouble I went back to Flumeri 2 times per month, now I hardly ever go. In my opinion, I was conceived on the combine harvester and I'm the only one threshing the wheat. None of my brothers is allowed to take my place. When we had the old machine some of them habitually used it behind my back, but that doesn't happen any more. I believe that the quality of the grain is much better because of Rocco. He has a way with grains of wheat: they stay healthy, have a nice colour, he knows how to calibrate the machine so as not to damage the wheat. The morphology of these places is very much like Irpinia although they use the land in a different manner. The soil is very hard to cultivate. From an agronomic standpoint it's not as fertile, since most of it is reclaimed marshland. According to a saying of Maremma "You can get rich in a year and you can die in six months". It's hostile soil that wears you out. But it's also very rich. There is a micro-climate where olive trees, cypresses, shrub, the sea and hillsides coexist. It is a unique landscape in the real sense of the word. 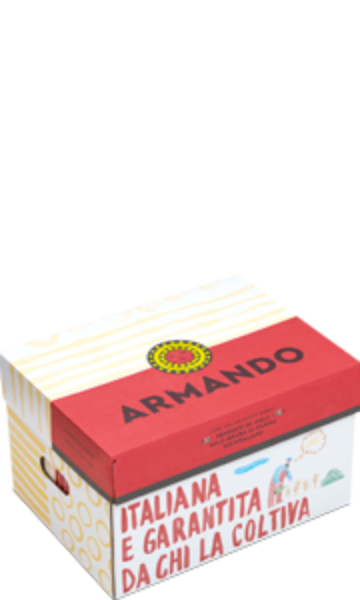 Anyone who tastes Armando's pasta here on our holiday farm falls in love with it, and when they finds shops where they can buy it close to their homes they write to tell us about it. They're pleased they can keep on enjoying it. 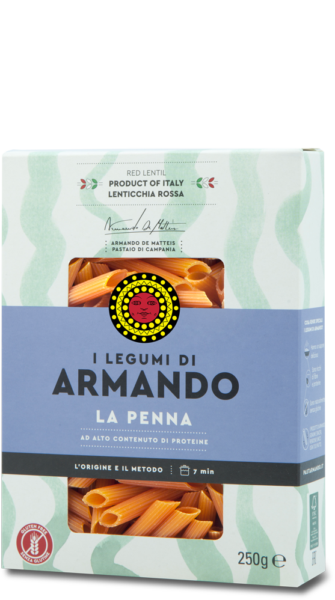 This brand of pasta is ideal for al dente cooking, it stays firm. This happens because it's a blend of gluten, proteins and Italy. It's 100% Italian wheat and this is what makes the difference. Semolina is made at the factory, it isn't delivered to factories already transformed. Then there's the work done by the master pasta maker, there's the bronze die extrusion process. All these steps affect the taste and are what make the difference. All these factors affect the pasta and make it good. None of that changes the fact that the raw material is wheat. It's not just any wheat. It's our wheat, it's the one we produce. The best". We have to compete with Canadian wheat, which is also very good quality, but what a carbon footprint! This is important. Canadian wheat has to make a long journey to get to Italy, it stays in holds for a long time, it must be treated to stop it from spoiling. At times the wheat stays in ports for a very long time, to control the market price. 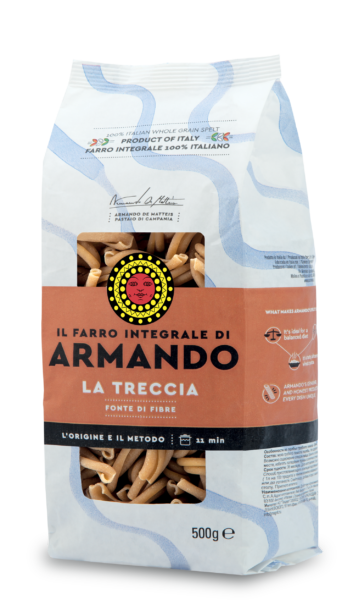 The deal with Grano Armando is an agreement providing some guarantees: all parties must play a role in the supply chain agreement and the farmer is 'protected', he has some security. 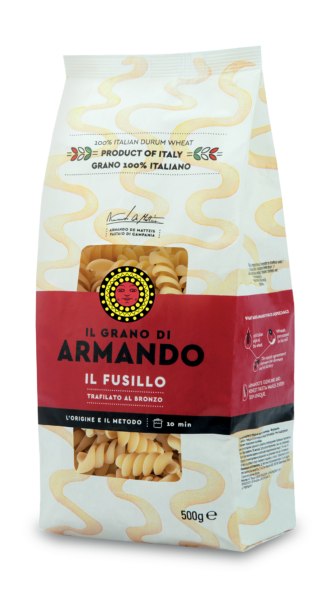 Grano Armando's challenge was to make a high quality product by challenging cut-throat competitors fighting a price war. Managing to create this product gives me great satisfaction and knowing that you are doing it for your children, knowing what your children are eating is also reassuring. Thanks to the experience we've gained we've managed to lower costs by levering on farm machinery and our farm hands, which has permitted us to reduce investments. 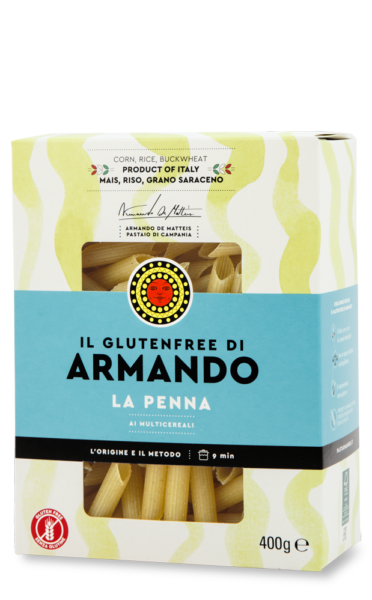 We are the farthest producers from the pasta factory, but we're the closest ones to the supply chain from an emotional standpoint. We never forget where we come from, our origins. The De Matteis pasta factory is a fine organisation at the place where we come from and we're proud to be a part of this supply chain. We're making our contribution so the pasta factory keeps on producing excellent pasta and makes our district proud. I often tell my children that we come from Irpinia. We're also citizens of the world, but we never forget where we come from and our contribution is a moral duty more so than a business decision.